Oregon State University researchers have invented new LED lightning technology that delivers up to 10 times more Wi-Fi bandwidth, whether it is implemented at crowded stadiums, huge conference gatherings or in the home. WiFo uses LED light that is beyond the human spectrum. It creates invisible cones of light around a meter square where data can be received. Multiply this by many hundreds, and it represents an excellent way to split up the signal. WiFO will eventually be able to deliver data speeds of up to 100Mbps, which is the same as current Wi-Fi routers. However, there is one difference - current systems make users share the 100Mbps, meaning sluggish speeds, whereas WiFo's hybrid system would deliver speeds of at least 50Mbps per user. 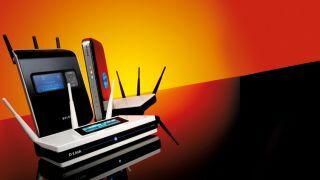 Residential Wi-Fi is another place this technology will have a huge effect and mean that shellacking your siblings for using the same connection will become a thing of the past. So next time you're about to lose it with your router just be patient and carry on.